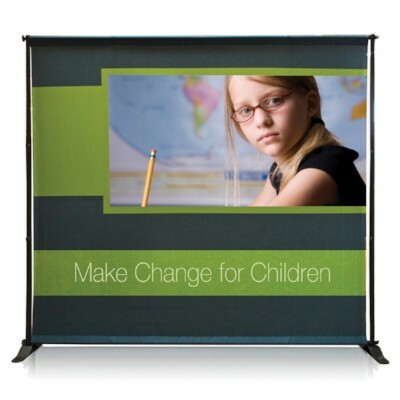 Telescopic banner stands are economical and fully adjustable! Telescopic banner stands are a fully adjustable banner system. They are easy to set up and versatile due to a variety of height and width options and possibilities. Slide the telescopic pole into the pole pockets sewn at the top and bottom of the graphic, then screw together the corners to connect to the frame. Attach the feet and you're done. Frame width: 37.5" to 70.5"
Frame height: 37" to 96"
Frame Width: 81" to 120"
Frame Height: 41.5" to 96"